I was sad to hear of the passing of a dear mother of our church. She has several natural children, but many spiritual children, who have called her blessed. Eleanor Kennedy Mayle, 97, of Cutler died 1:30 p.m. Saturday, Sept. 8, 2007, at her residence.She was born June 11, 1910, in Cutler, the daughter of Emlin Kennedy and Lillie Harris Kennedy. She was owner/operator of a boarding house in Canton, Ohio, and also did nursing and domestic work in that area. She was a member of Cutler Mission and the Cutler Ladies Auxiliary. 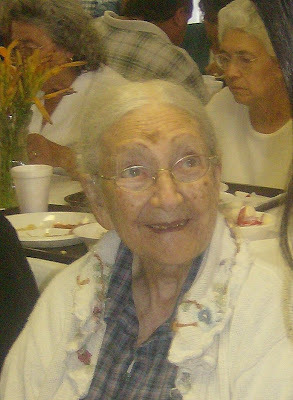 She is survived by one daughter, Kathleen Norris of Canton; two foster daughters, Regina Singer of Cutler and Tina Curry of Watertown; four grandchildren, Kenneth and Michael Norris, Gloria Cappy and Patrick Parsons; several great and great-great-grandchildren; and a granddaughter-in-law, Davita Parsons. She was proceeded in death by her parents; two husbands, Walter (Jorden) Croston and William Mayle; one daughter, Geneieve Parsons; one grandson, Marvin Parsons; brothers, William, Leroy, Walter, Thorton, Harry and Edward Kennedy; a sister, Lydia Mayle; and a half sister, Evelyn Norris. 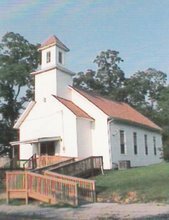 Service will be 11 a.m. Wednesday at Mission Church, Cutler, with Pastor Junior Walker officiating. Interment will be in Decatur Cemetery, Decatur, Ohio. Visitation will be 4-9 p.m. Tuesday at Stone-Matheney Funeral Home in Chesterhill, Ohio, and one hour prior to service at the church on Wednesday.